Compliment someone and let their happiness rub off on you. 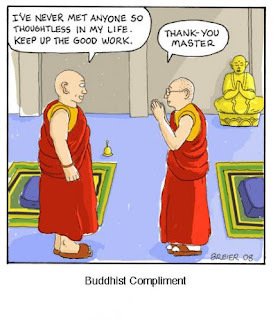 Giving people compliments really helps someone to work harder and do a lot better. Just by saying You look nice today it makes a person feel good in the inside and see that even other people that you don't really talk to much are complementing you. It's a good feeling and it's also nice to give compliments to others like your friend. Give a true heartfelt compliment and make someone's day happy. You will find smiles multiply faster. Have a great day at work. Nice blog vamshi.. Keep rocking..
See I am complimenting you for your work here, so come up with much better article..